(Nanowerk News) The majority of spiders spin silk threads several micrometres thick but unusually the 'garden centre spider' or 'feather-legged lace weaver' Uloborus plumipes can spin nano-scale filaments. Now an Oxford University team think they are closer to understanding how this is done. Their findings could lead to technologies that would enable the commercial spinning of nanoscale filaments. 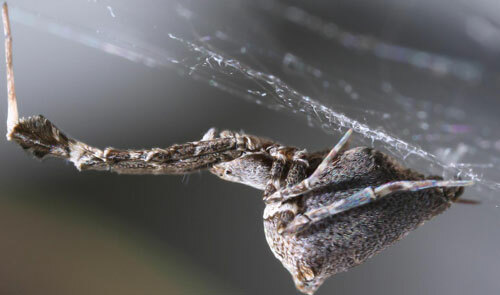 The research was carried out by Katrin Kronenberger and Fritz Vollrath of Oxford University's Department of Zoology and is reported in the journal Biology Letters ("Spiders spinning electrically charged nano-fibres"). 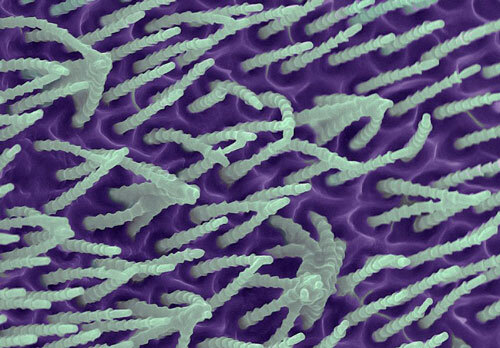 To discover the secrets of its nano-fibres the Oxford researchers collected adult female Uloborus lace weavers from garden centres in Hampshire, UK. They then took photographs and videos of the spiders' spinning action and used three different microscopy techniques to examine the spiders' silk-generating organs. Of particular interest was the cribellum, an ancient spinning organ not found in many spiders and consisting of one or two plates densely covered in tiny silk outlet nozzles (spigots). 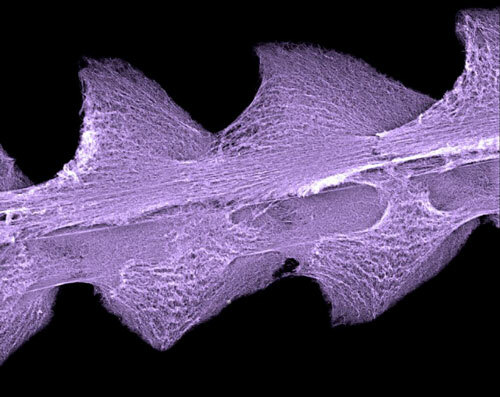 The research team used three microscopy techniques to study the silk-generating organs of Uloborus: confocal scanning microscopy, transmission electron microscopy (TEM), scanning electron microscopy (SEM).